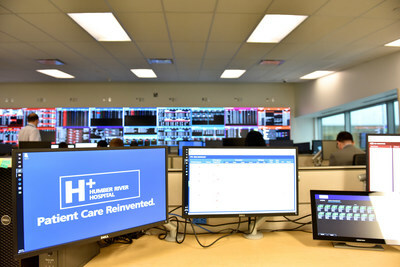 TORONTO, Nov. 30, 2017 /CNW/ - Today Humber River Hospital (HRH) opens Canada's first hospital Command Centre built in collaboration with GE Healthcare Partners (GEHC), addressing capacity, safety, quality and wait time issues that have preoccupied hospitals across Canada. 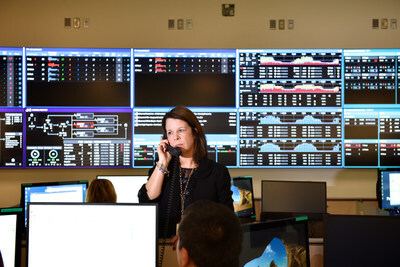 The impact of the Command Centre will be felt immediately by patients, physicians and care providers. 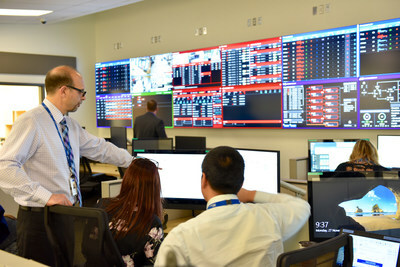 "As North America's first fully digital hospital with a commitment to high reliability care, our cutting-edge technology, insight-rich data and human expertise comes together through the Command Centre to create an excellent patient experience that is both timely and safe," states Barbara Collins, President and CEO of HRH. "Ontario is a place where today's innovative ideas are fast becoming tomorrow's world-renowned scientific, medical and technological breakthroughs," said Reza Moridi, Minister of Research, Innovation and Science. "Congratulations to everyone at Humber River Hospital and GE Healthcare Partners for advancing innovation in Ontario, and for helping deliver the best in care to patients and their families." HRH began its digital transformation back in 2005 when planning started for the new site of the Humber River hospital, which opened October 2015. Since going fully digital, HRH has experienced a 20% increase in benefit and efficiency. Now, with the addition of HRH's Command Centre, the hospital expects to double benefit and efficiency to 40%. "Whether it be the flu season that brings with it an influx of patients to the emergency department every year, or the fact that Canada has an aging and growing population, there are always pressures, both expected and unexpected, in acute care hospitals," says Collins. "The digital transformation and command centre are focal points of our strategy to deal with these pressures." "Over the next few months, the Command Centre will enable an increase in capacity equivalent to opening a small community hospital within our walls," explains Collins. 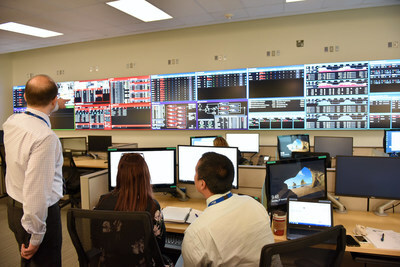 The Command Centre includes a Wall of AnalyticsTM that provides advanced real-time and predictive insight, which triggers cross-functional staff co-located in the Command Centre to take action. This team works together to synchronize care delivery activities (e.g. patient discharge), eliminate delays in care and resolve patient flow bottlenecks (e.g. transferring patients from emergency to an inpatient bed) as soon as they are detected in the Command Centre. The alerts and actions that come to life daily in HRH's Command Centre will also provide the basis for analysis and process re-engineering by staff throughout the hospital so that certain issues can be avoided altogether. 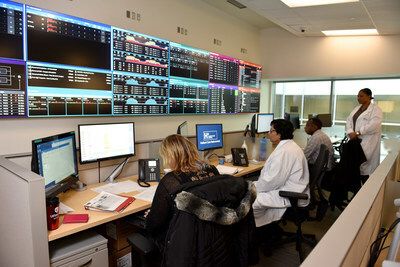 "Humber's Quality Command Centre is all about action in support of care-teams and patients," said Jeff Terry, Managing Principal of GEHC Partners. "It's an honor to serve the Humber River Hospital team. 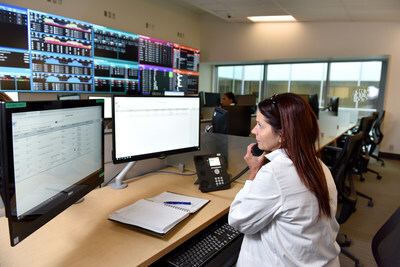 Humber River is in the vanguard of a global command center ecosystem that is creating new tools and methods to improve quality and efficiency in healthcare." 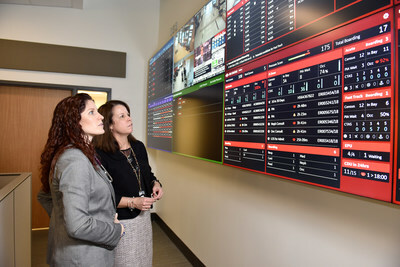 Collins said "The Command Centre contributes to the HRH vision of working together to deliver innovative and compassionate health care in our community." Humber River Hospital (HRH) is one of Canada's largest acute care hospitals, serving a vibrant and culturally diverse community of more than 850,000 people in the northwest Greater Toronto Area. The HRH team's powerful commitment to compassionate, professional, respectful care is reflected in the number of hospital programs and services that have been, and remain, recognized provincially, nationally and internationally. On October 18, 2015, HRH opened its new acute care facility – North America's first fully digital hospital. A 1.8 million square foot facility based on the design principles of lean, green and digital to support the best in patient and family centred care, it integrates the finest available medical and communications technology across all hospital systems, services and workflows. The new hospital has 656 acute inpatient beds, including 48 critical care beds, 3,400 staff, approximately 600 physicians with privileges, and over 500 volunteers. The hospital has formal affiliations with the University of Toronto and Queen's University Medical Schools, and is the Toronto hospital of choice for Queen's University Medical School.